This historic 3-story brick mansion was built in 1911. 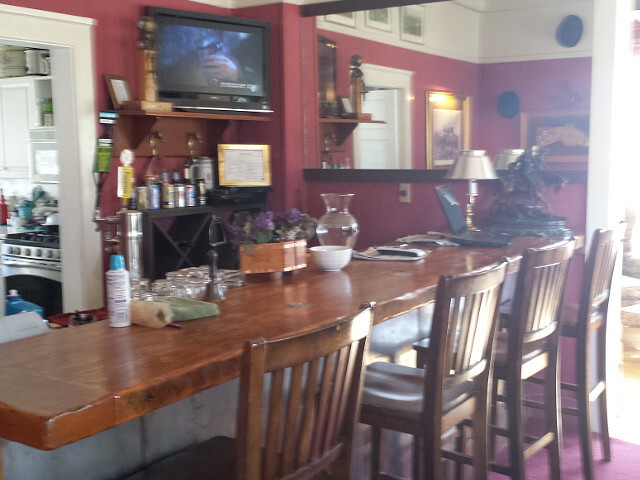 The ground floor of the colonial revival home features the new Stine & Stirrup Beer & Wine Bar. A separate building called the Carriage House offers four spacious fireplace suites (two upstairs and two on the ground floor) with panoramic views of the valley from the patios. 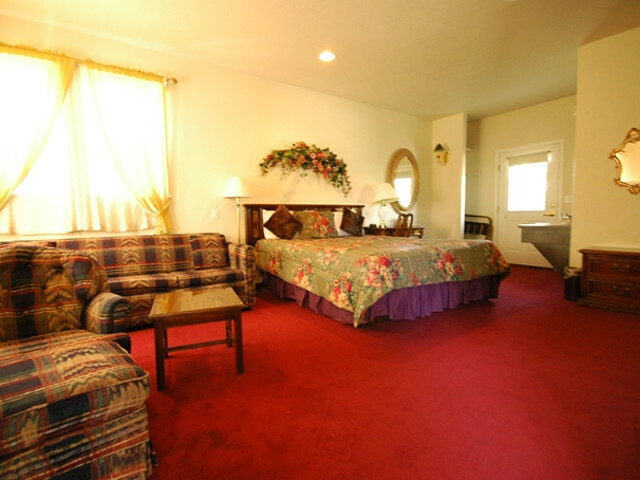 One ground floor suite has a king bed and sofa sleeper, and three of the suites have 2 queen beds. Each suite is individually decorated with high quality bedding, pretty stoneware dishes, ample countertop space in the kitchenette, and a sitting area with chairs in front of the gas fireplace. Though the rooms are across the hall from each other, the patios and balconies connect, making a nice arrangement for 2 couples or families sleep separately yet mingle easily. 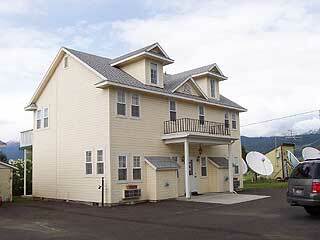 There are 11 motel-type Traveler's Rooms that are affordably priced, non-smoking, with microwaves and refrigerators. The Inn also features a courtyard with a large hot tub, custom log picnic tables with umbrellas and a grill for picnicking. A fire pit makes this a wonderful space to spend an evening. 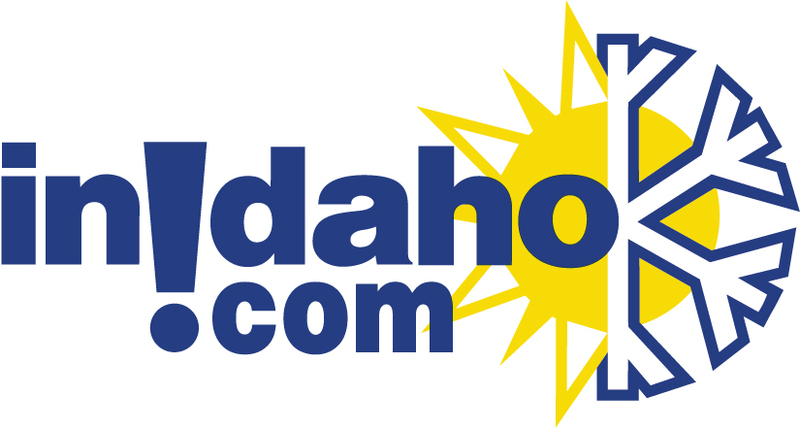 InIdaho has been partnered with New Meadows hotels and motels for about 21 years. 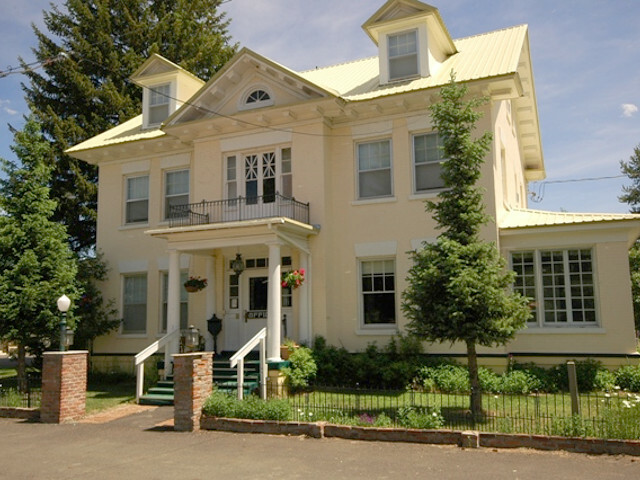 We guarantee the lowest prices for Hartland Inn B&B reservations. 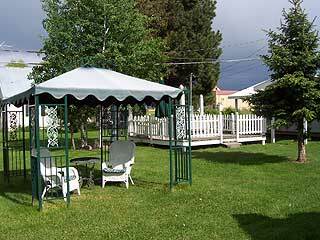 Our local idaho business is staffed by friendly and efficient employees who appreciate that you choose to make your reservations for Hartland Inn B&B with us. 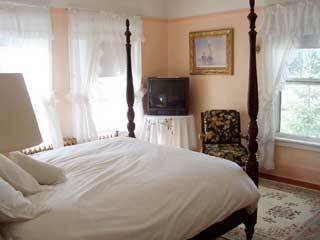 Our rates are always the same or lower as calling the Hartland Inn B&B direct. 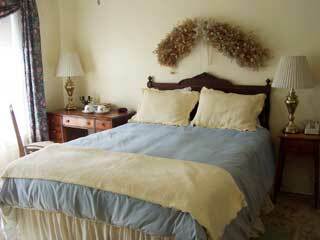 We also offer group rates for Hartland Inn B&B - just contact us! 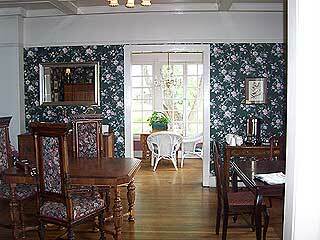 We do not have any current pre-built packages for Hartland Inn B&B . This ground floor suite is very spacious with king bed and sofa sleeper, providing plenty of room for 4 guests. There is a sitting area with gas fireplace, kitchenette with microwave, fridge, coffee maker, sink, ice box and pretty stoneware (there is not a stovetop). 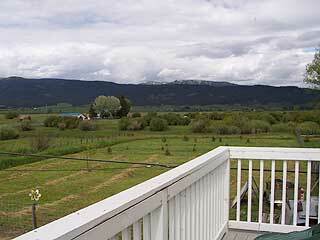 Guests will enjoy the patio boasting spectacular views of Brundage, Granite, and Pollock Mountains. There are three suites each with 2 queen beds. Two are on the upper floor and one is on the ground floor. They are very spacious, providing plenty of room for 4 guests. There is a sitting area with gas fireplace, kitchenette with microwave, fridge, coffee maker, sink, ice box and pretty stoneware (there is not a stovetop). 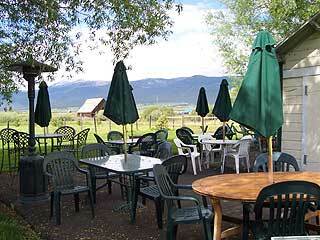 Guests will enjoy the patio boasting spectacular views of Brundage, Granite, and Pollock Mountains. Located on the 2nd floor, this sunny corner bedroom with peach colored walls has a four poster bed, sink in the bedroom and small private bathroom with toilet and stall shower. Lace covered windows have north and west views of downtown New Meadows. 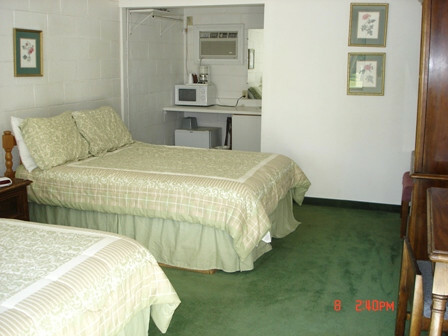 All rooms have bathrobes, phones, satellite TV and ceiling fans (there is no air conditioning). Full breakfast is included. This guest room offers basic motel-style accommodations with two queen beds and a living room w/sofa sleeper, a kitchen offering a stove, microwave, refrigerator, coffee maker, pots & pans, dishes and Satellite TV. 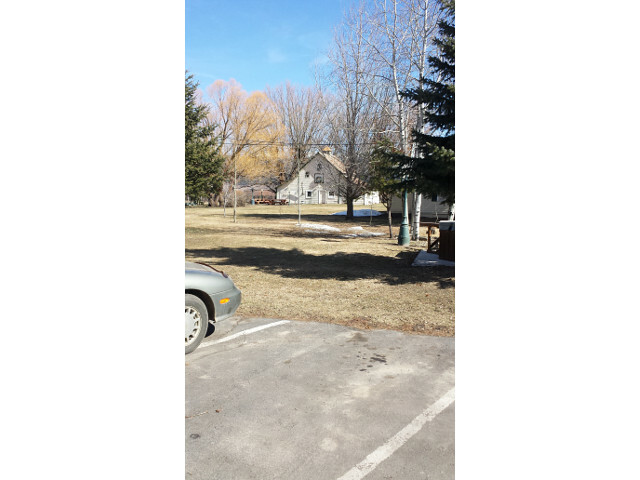 This guest room offers basic motel-style accommodations with a two double beds and a twin bed, a kitchen offering a stove, microwave, refrigerator, coffee maker, pots & pans, dishes and Satellite TV. This guest room offers basic motel-style accommodations with a double bed, microwave, refrigerator, coffee makers and satellite TV. 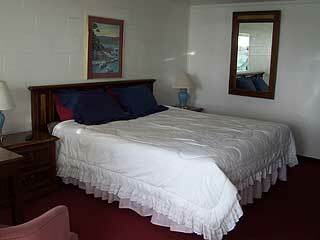 This guest room offers basic motel-style accommodations with a king bed, microwave, refrigerator, coffee makers and satellite TV. 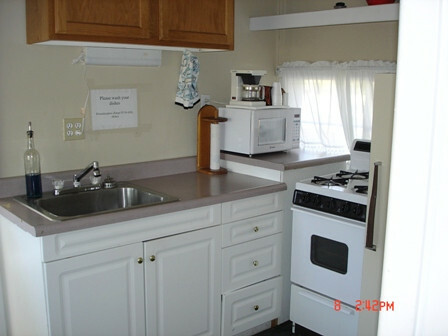 The motel-style room with 2 double beds has a microwave, refrigerator and coffee maker. 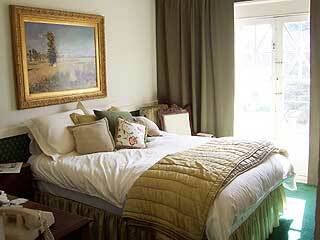 Located on the 2nd floor, this corner bedroom with pale yellow walls has a queen bed. Lace covered windows have north and east views looking toward the grassy courtyard and carriage suites. 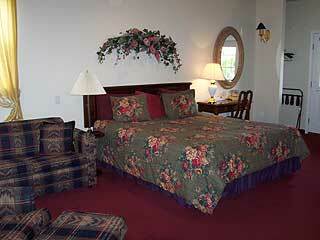 All rooms have bathrobes, phones, satellite TV and ceiling fans (there is no air conditioning). Full breakfast is included. Shared bathroom with clawfoot tub and shower down the hall. 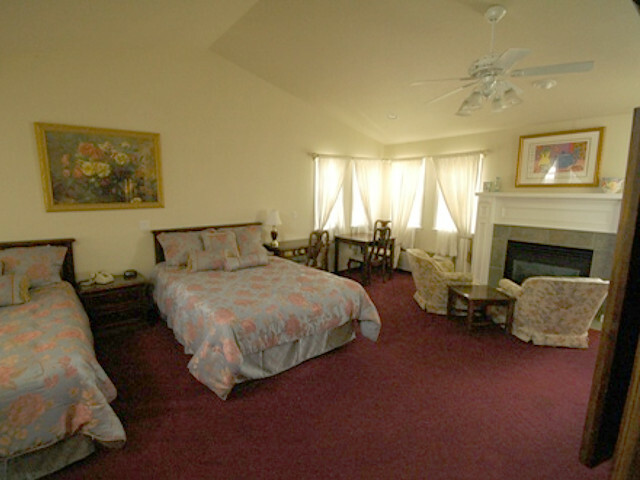 Located on the 3rd floor, this bedroom with pale green walls has a queen bed and private bathroom with shower (no tub). 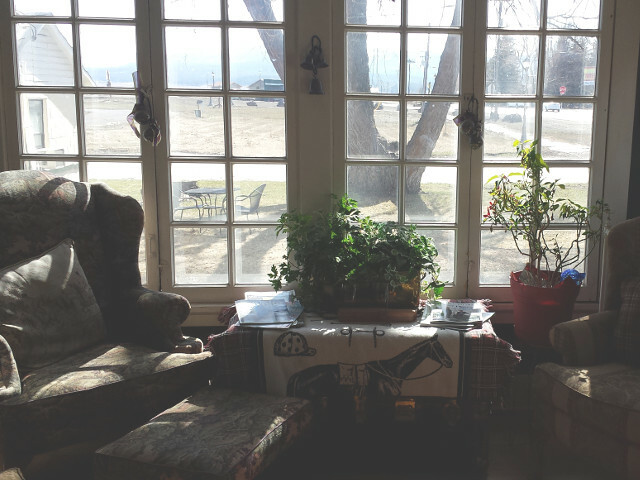 Lace covered windows have north views facing downtown New Meadows. 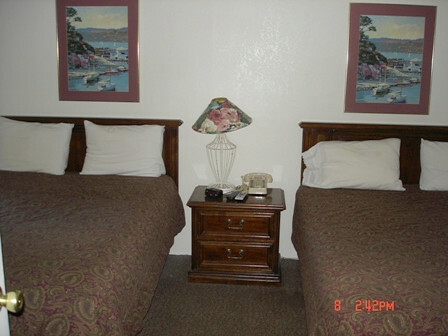 All rooms have bathrobes, phones, satellite TV and ceiling fans (there is no air conditioning). Full breakfast is included. Located on the 3rd floor, this bedroom with blue walls has a king bed and private bathroom with bathtub/shower combo. Lace covered windows have north views facing downtown New Meadows. 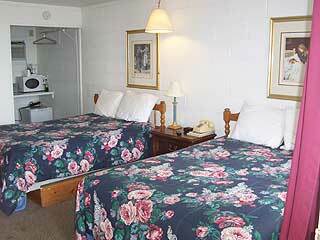 All rooms have bathrobes, phones, satellite TV and ceiling fans (there is no air conditioning). Full breakfast is included. Located on the 2nd floor, this bedroom with tan walls has a queen bed. Lace covered windows have south and west views facing downtown New Meadows. 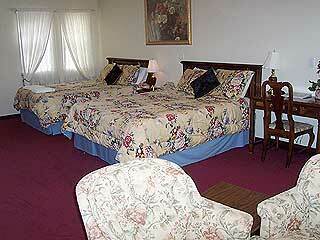 All rooms have bathrobes, phones, satellite TV and ceiling fans (there is no air conditioning). Full breakfast is included. Shared bathroom with clawfoot tub/shower down the hall. 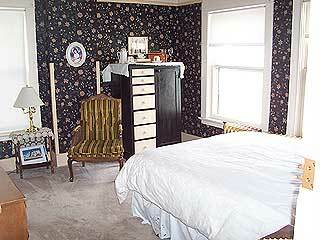 Please note: Guest reviews may mention certain amenities that may no longer be offered with Hartland Inn B&B. Please check the amenities prior to booking to confirm. "The Motel was very nice. Exceptionally clean. Comfortable beds. Unexpectedly quiet since it is on the highway." 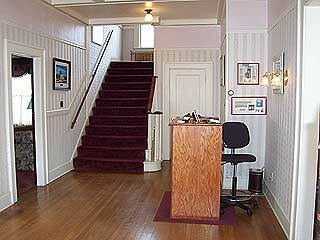 "We were very pleased with the Hartland Inn. Saturday when we arrived we were hungry and tired so ordered a pizza. The owner (gentleman) fixed us a nice table with china, silverware, etc. The next morning we had a sumptious breakfast (again prepared by the owner gentleman) and he graciously carried out our luggage to our car. 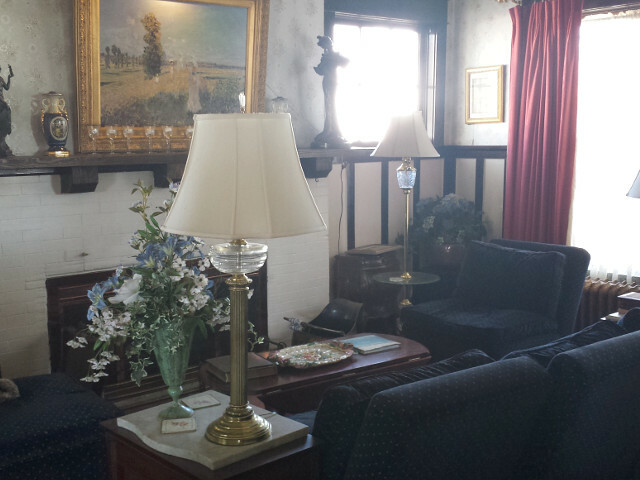 The inn is filled with lovely antique furniture. It was a wonderful overnight stay. The only negative was that our bathroom was not as clean as it should have been." 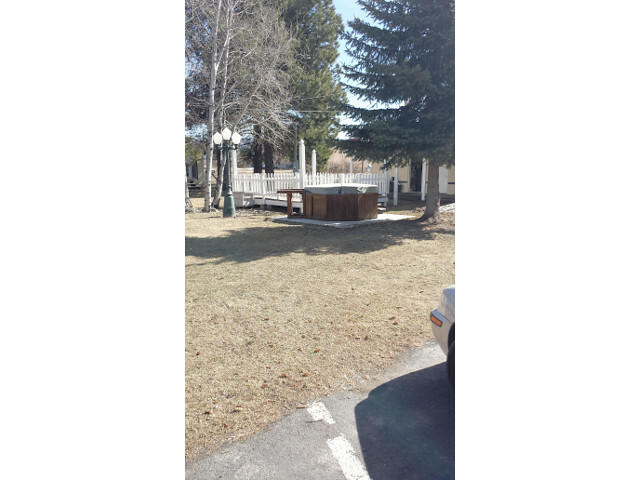 "Motel Room very small but worked well for us as we weren't there but to sleep. Hot Tub was nice as it was winter. Owners friendly, let us tour the old Mansion." 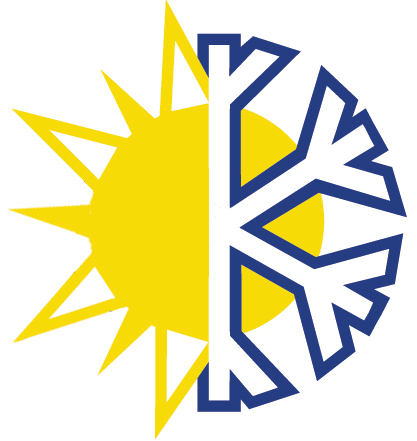 "Very friendly folks, room was clean. The pizza place across the street is excellent if you want pizza and beer. If you want to grab an espresso and eat on the go in the morning there is a coffee shop near by. "